While I know there are a lot of good foreign swimsuit brands out there, I’ve always had this loyalty over local brands that are that of excellent quality. One of which is Pink Belter. Pink Belter makes sure to keep its collection up to date with its wide range of swimwear styles for its valued customers. Pink Belter is also known for its rompers, kimonos, cover ups and lady board shorts. Back Booth of Fashion Market B, 2/F Market! Market! Feel free to contact Pink Belter for wholesale and customized orders, Mobile/Viber: 0999.9984377 or 0917.5327890. Like Pink Belter on Facebook for promos, giveaways and updates. Meanwhile, Pink Belter also offers white label business opportunities for those who are in a look out for a lucrative start up. Feel free to contact them for inquiries and more information. 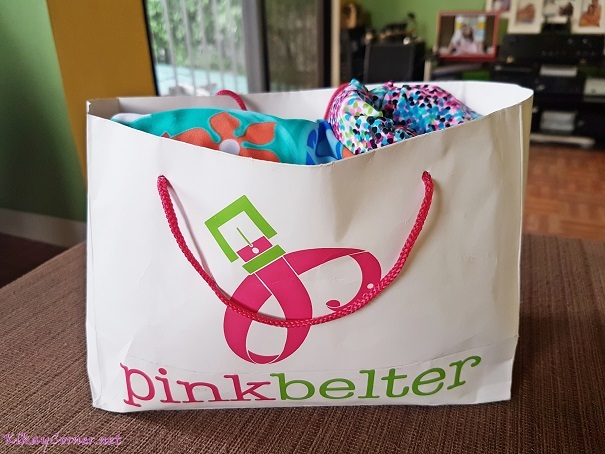 Because Kikay Corner loves Pink Belter, we are giving away another Pink Belter swimsuit! Joining is easy, like always. Open to all Philippine residents who are of legal age. Click on the Rafflecopter widget below to join! Easy peasy mechanics! Hope to win this one. Kasi never pa ako nabili or nagsuot ng swimsuit in my whole life. This september may 2 escapade ako and hoping na makakasuot na ako if I won. hehehehe! JOINED! I love this giveaway of yours!!! Thumbs up!! Joined. Hoping to win this gorgeous swimwear. joined,thank you for the giveaway! I would love to win this…thanks for this giveaway…more power and God bless! Sana manalo po ako sa giveaway na ito, para maipakita sa mga tao na kahit ako isang Ina na, ay may K pa din ako magsuot ng swimsuit. Para na din maramdaman ko ang resulta ng aking workout. Been wanting to have one from your collection. Crossing my fingers to win! Joined this giveaway, Jen. Supporting local and would love to have a piece of pinkbelter swimsuit. Joined! We’re having a family outing this October. Hoping to win!